Big Bow Steps Out is scored for Flute, Oboe, Bb Clarinet, Bassoon, Bb Trumpet, Euphonium, Tuba and Percussion. It was written in June 2003. Big Bow is a big wise old teddy bear (who always wears a big bow tie). Few may know of his adventures when he 'steps out', but one by one they are now being set to music. 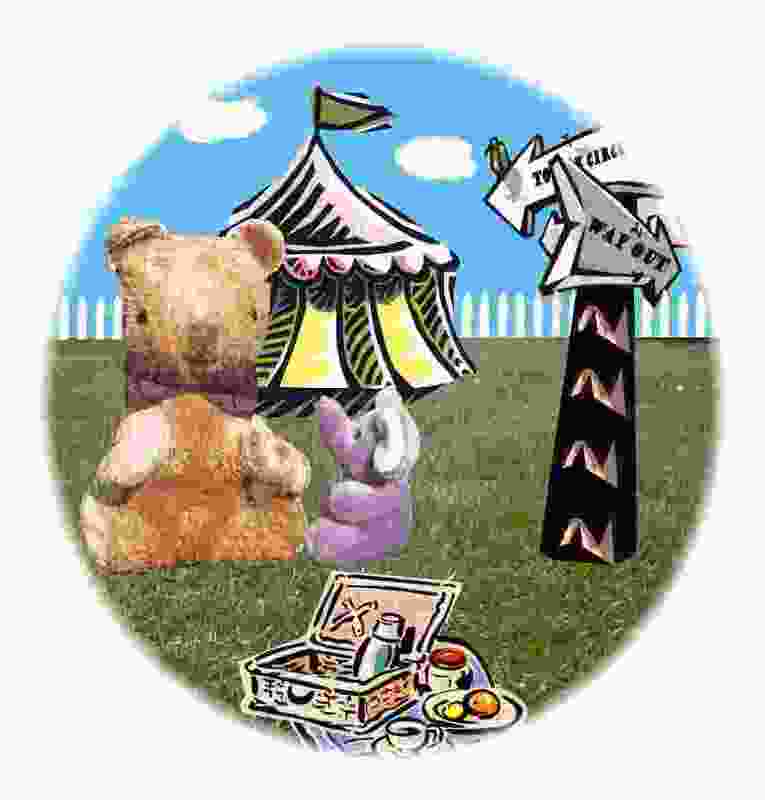 When he takes a trip to the circus, Big Bow observes a baby elephant called Nellie being made to perform tricks. Nellie is clearly unhappy, so he boldly sets about releasing her and leading her away. The music is written in the style of a military march, but is set for just eight instruments. After a brief introduction, the first section is intended to convey the feeling of Big Bow stepping out as he goes merrily on his way. The middle section is the elephant's performance (listen for the elephant call), then after a climactic imposition depicting Big Bow boldly going to Nellie's rescue the triumphant reprise sees the couple joyfully going on their way. The introduction, fanfares and middle section are intended to create the right atmosphere for a circus venue.